Guy O'Donnell commented on Glesni Price-Jones's blog post CASTING CALL - Of Mice And Men, August 012. "Loving this description! "We will research a stage language somewhere between documentary realism and the Bible, with echoes of Sergio Leone and Little House on the Prairie."" Get the chance to be a Theatre Critic with Motherlode and the Coliseum, Aberdare. Coming soon from Get the Chance an interview with Kyle Legall on RATS (Rose Against The System) at Wales Millennium Centre 02-03 June 2017. Guy O'Donnell commented on Ali Zay's blog post My time in Brazil in my own words. "Fascinating article Ali, thanks for sharing. " Get the Chance have been announced as runners up in the Celebrating Diversity Award at the national 2017 Epic Awards organised by Voluntary Arts. "Thanks for sharing Shayne, love your perspective on Rhyl!" Please vote for Get the Chance in the Epic Awards! Guy O'Donnell commented on Ali Zay's blog post The Art Of Cultural Exchange! "Thanks for the blog post Ali, sounds great, good luck!" Guy O'Donnell commented on Guy O'Donnell's blog post Are you a venue, company, promoter, creative, volunteer or critic? Why not join our Creative Citizens Cymru network? "Hi Rachel I was at takepART at Venue Cymru a few weeks ago. I am looking to increase links across Wales. Is it possible to email me at odonnell.guy@gmail.com? Best Guy "
rachel rosen commented on Guy O'Donnell's blog post Are you a venue, company, promoter, creative, volunteer or critic? Why not join our Creative Citizens Cymru network? 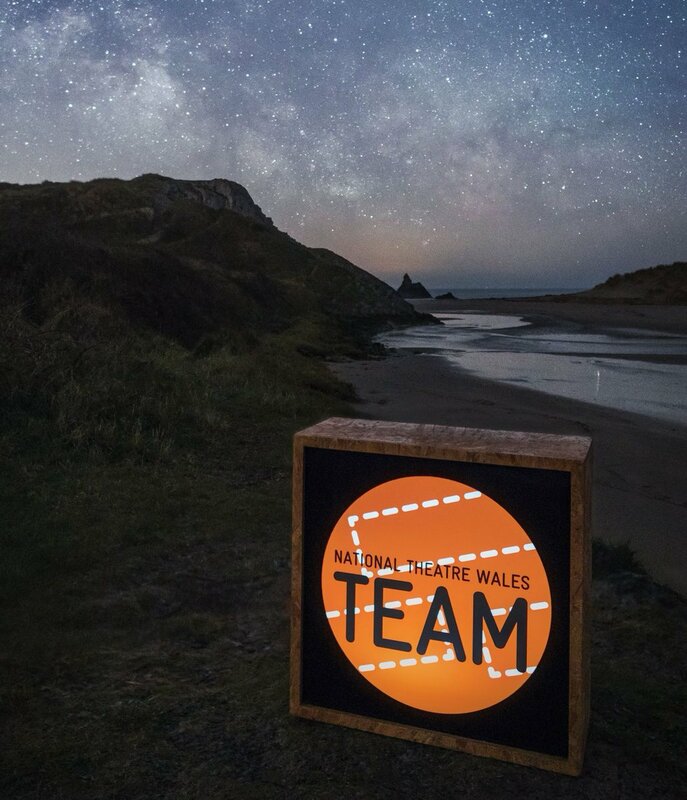 "Hi Guy, I'm interested in your work on Get the Chance, and after reading your blog post from the link above t seems you are thinking about doing a North Wales event this spring? Do talk to me if you are, I am based near Caernarfon and Bangor…"
Are you a venue, company, promoter, creative, volunteer or critic? Why not join our Creative Citizens Cymru network? I coordinate the Young Critics Scheme,I believe in the power of the arts to transform peoples lives and seek to support inclusive practice. I have a background as a set designer so I am also really interested in all areas of design. Young Critics and supporting a range of Arts Projects. Two bursaries available for this year’s @ndcwales Associates, please share this opportunity. Interested in theatre, dance, visual art, gigs, poetry, film and more? Want to access a free workshop which will give you an insight into the role of a critic? Hi Guy, thank you! And likewise! Hi Guy, how do we get review tickets to the Young CriticsScheme? Thank you for the info on Sherman 5. I will pass it on during the workshops. It is a fabulous idea to encourage arts within the disadvantaged members of our communities. I've got a new show opening at the WMC next week with liveartshow (part opera, part play) and we have an opportunity for an assistant designer. Just wondered if you have come across anyone recently you would like to give an opportunity to and fits the bill (bright, enthusiastic, available the end of this week and next and would look forward to working with designer Will Holt, SM Kevin Smith and director Martin Constantine). We can only pay expenses (£50). Might suit someone young who wants to build up their CV? If you can think of anyone who fits the bill can you let me know. Thanks for the invite Guy. Thanks for the request, Guy. PS: Any movement re Nine Suitcases? Thanks for your continuous support, Guy. Just wanted to join the long list of people thanking you and your team for such a great night last night. Long May it continue. It was great to be part of something special last night. Many thanks for involving me. It must have been an amazing challenge to organise such an event and to pull it off was remarkable and well deserved.